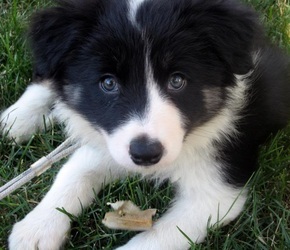 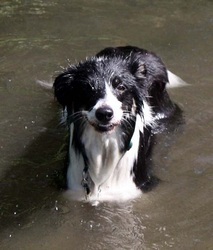 Cedar is the Border Collie that started it all :). 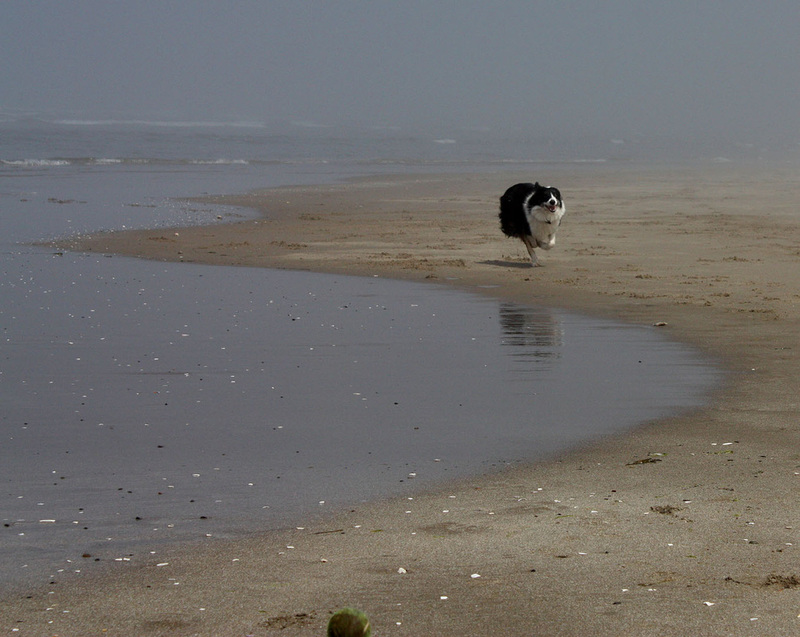 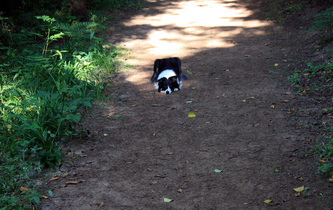 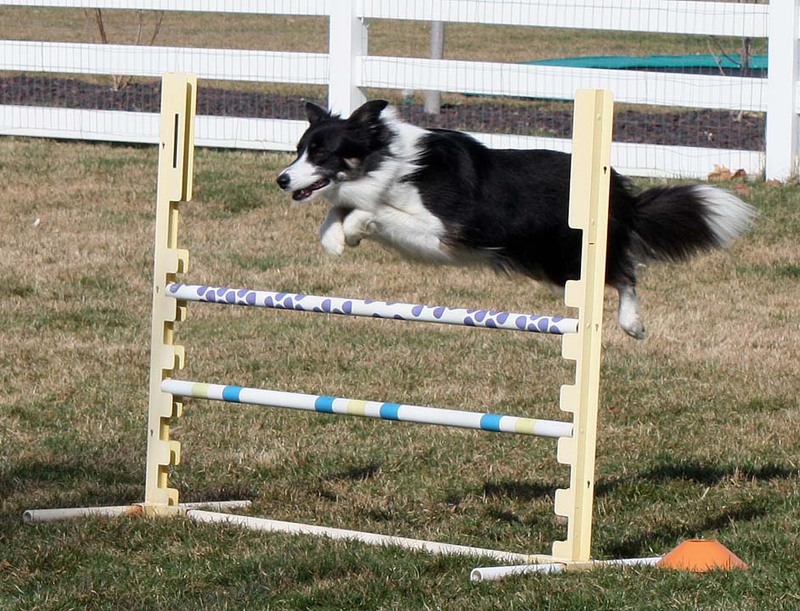 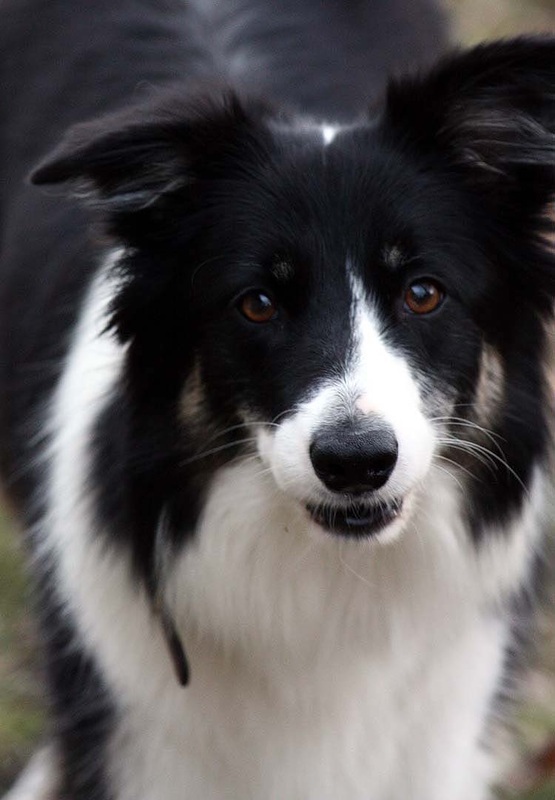 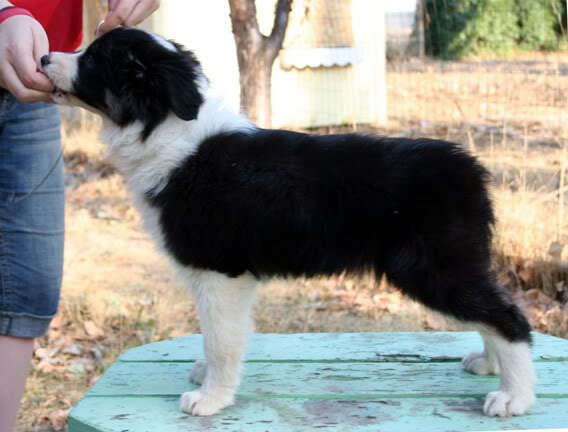 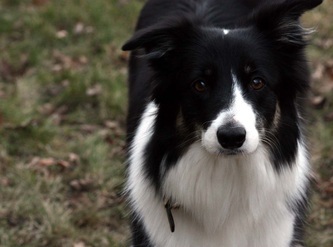 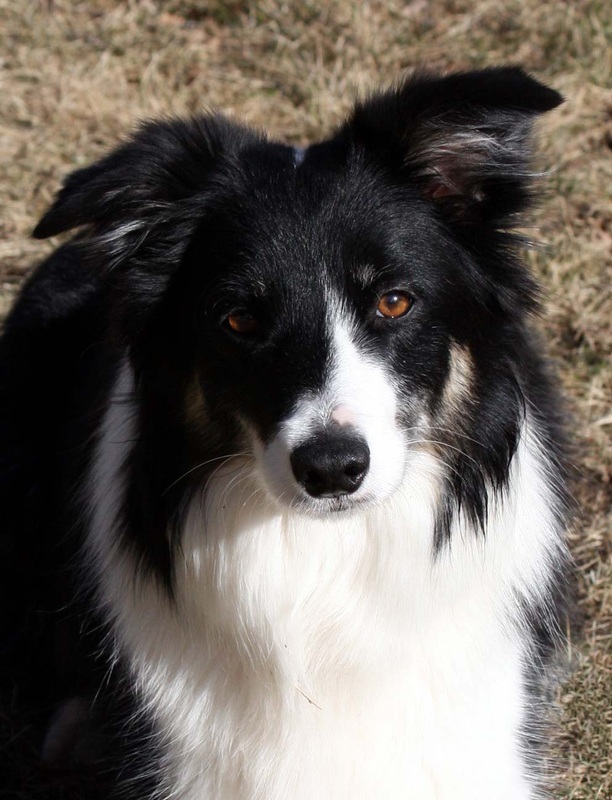 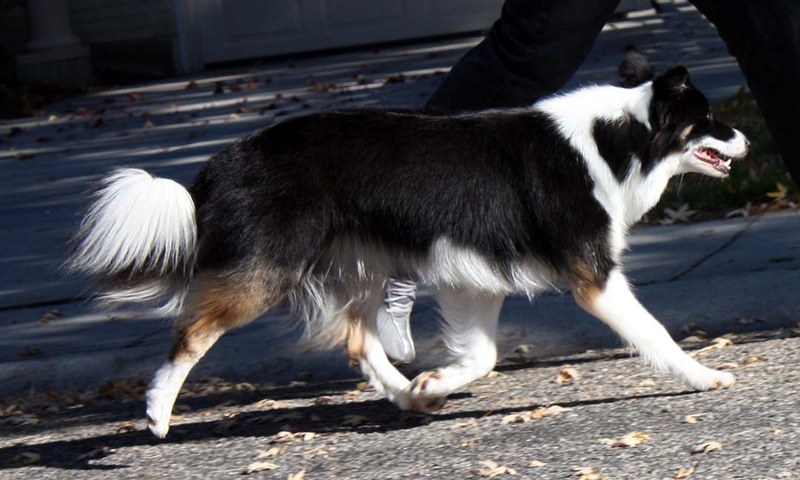 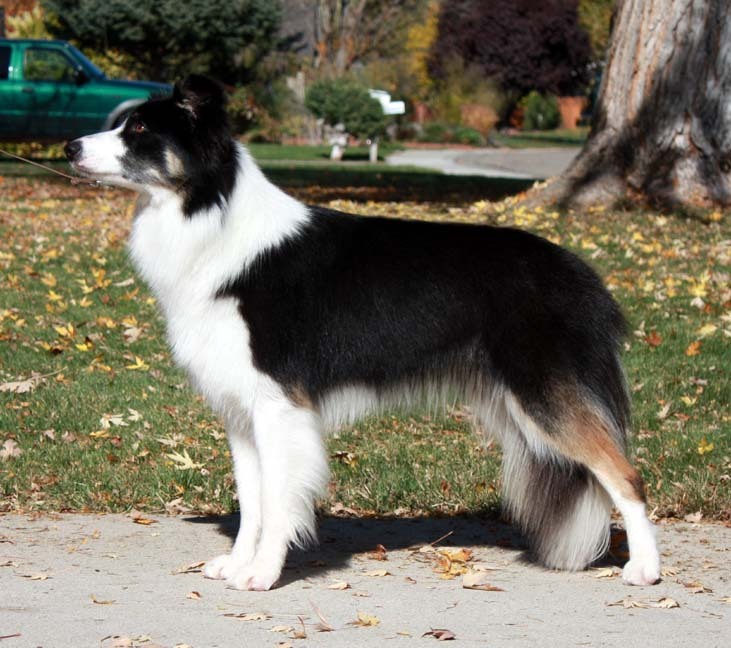 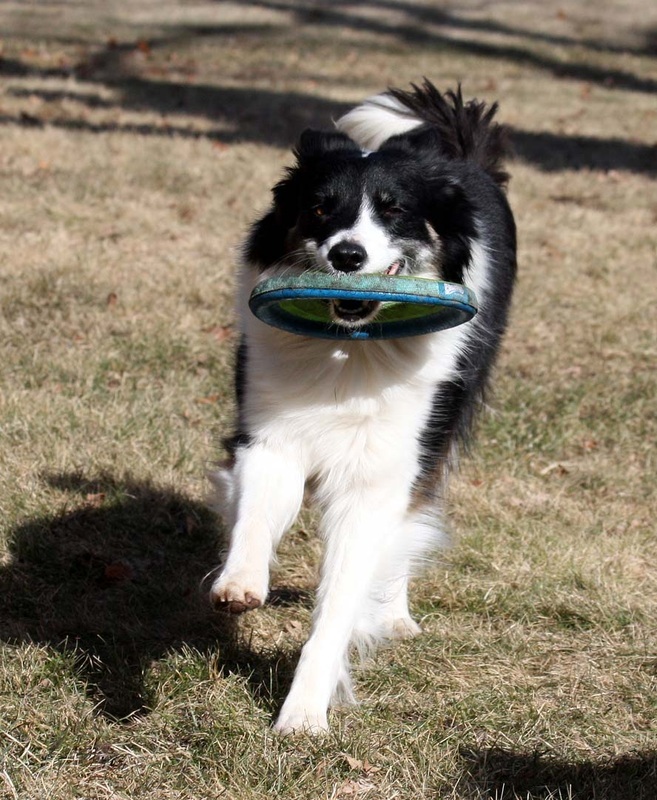 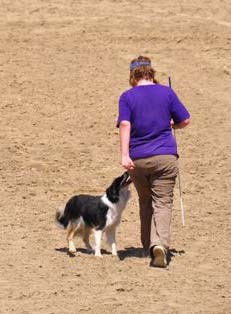 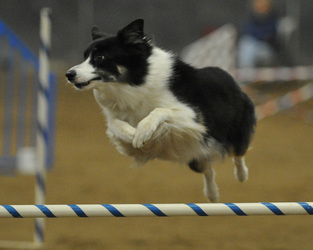 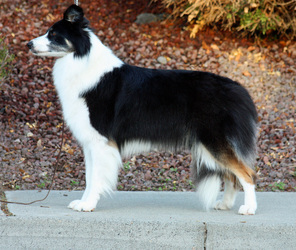 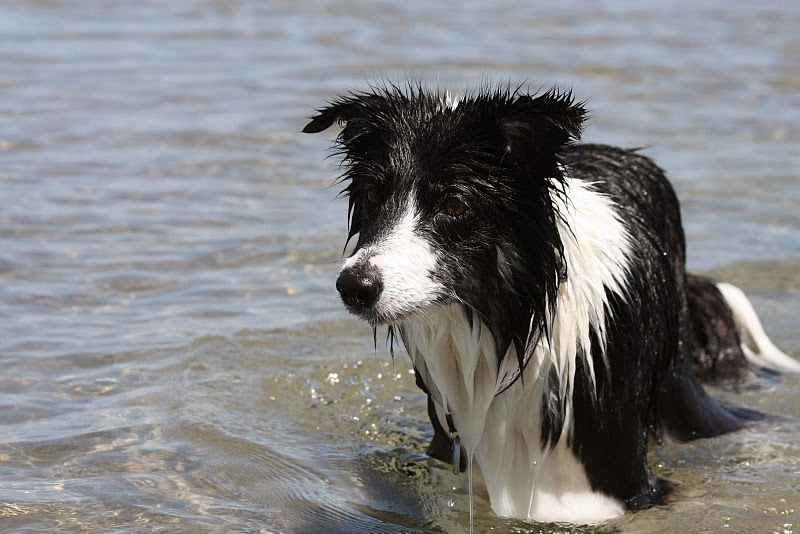 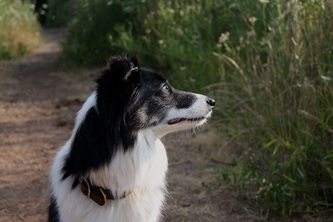 She excels in agility and is just getting started in herding and obedience. 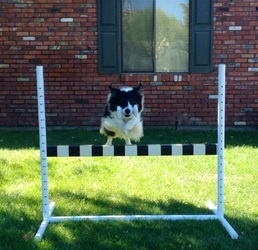 She has her ASCA Started Sheep title, and we are working towards competing in higher levels of arena trials. 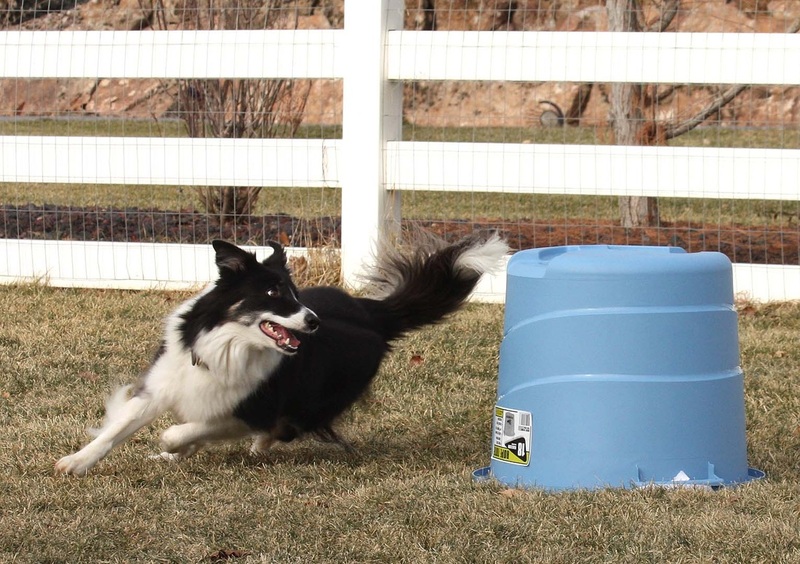 Cedar is a complete joy to train; she's eager, biddable, and willing to please. 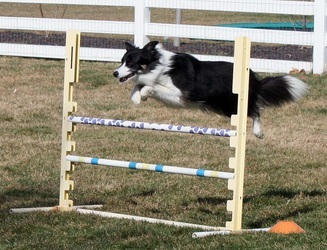 Her passion, far and away, is agility. 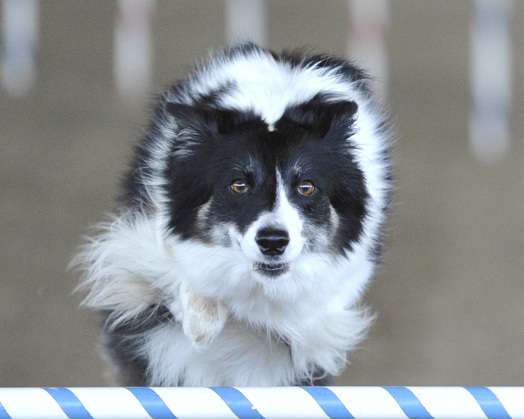 Unfortunately, due to some health issues, Cedar retired from agility in 2016. 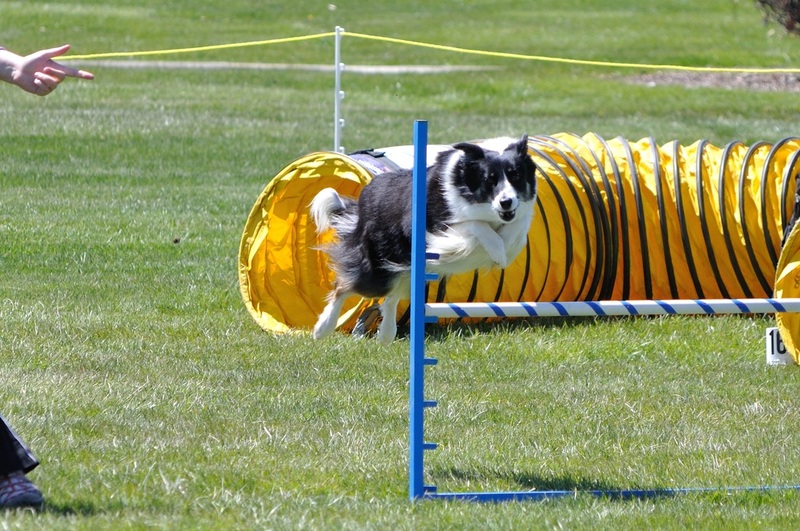 Cedar and I competed in our first agility trial in November 2010, coming away with two new titles in Regular and Jumpers. It was an amazing weekend, and Cedar behaved beautifully. 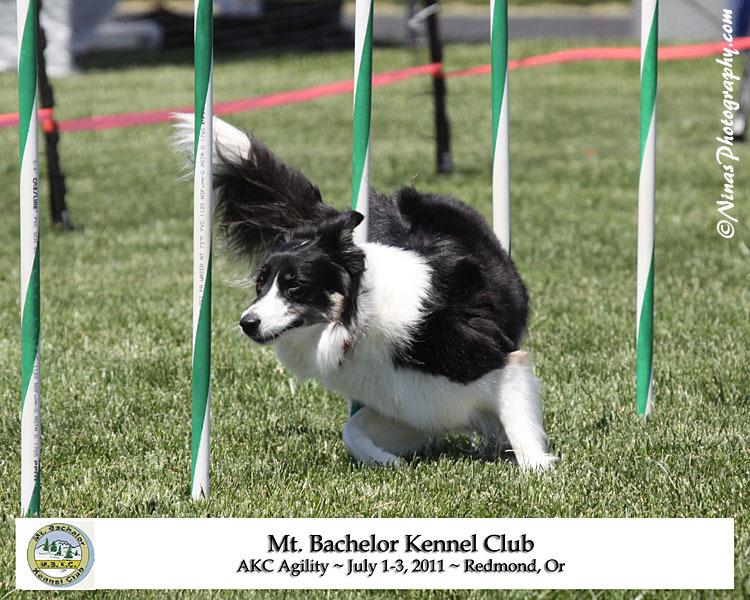 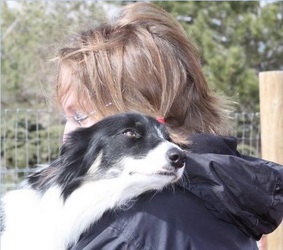 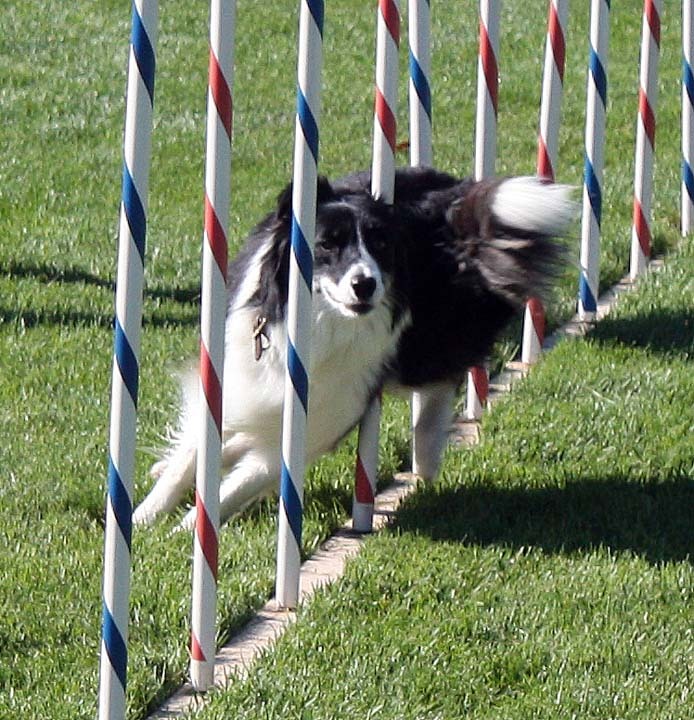 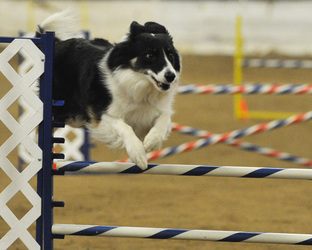 In our first year of trialing in agility (November 2010-November 2011), we earned TEN agility titles in two different venues (AKC and NADAC) with very limited trialing. 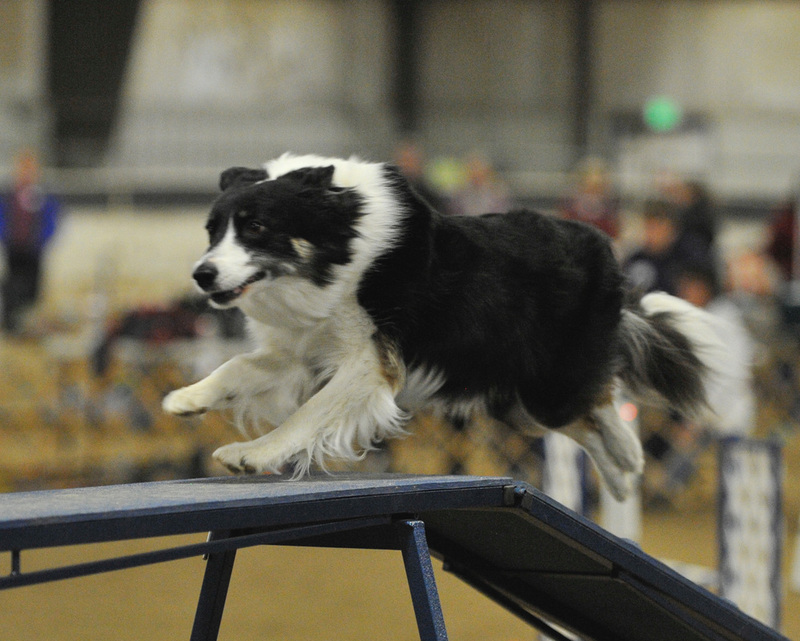 She earned all her Novice AKC titles in two trials (as soon as we competed under a second judge), and completed her Open FAST title in short order as well. In AKC agility, she currently has her excellent JWW and Standard titles, and 2/3 legs in Excellent FAST. 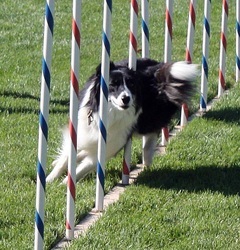 Looking forward to pursuing a MACH next year!!! 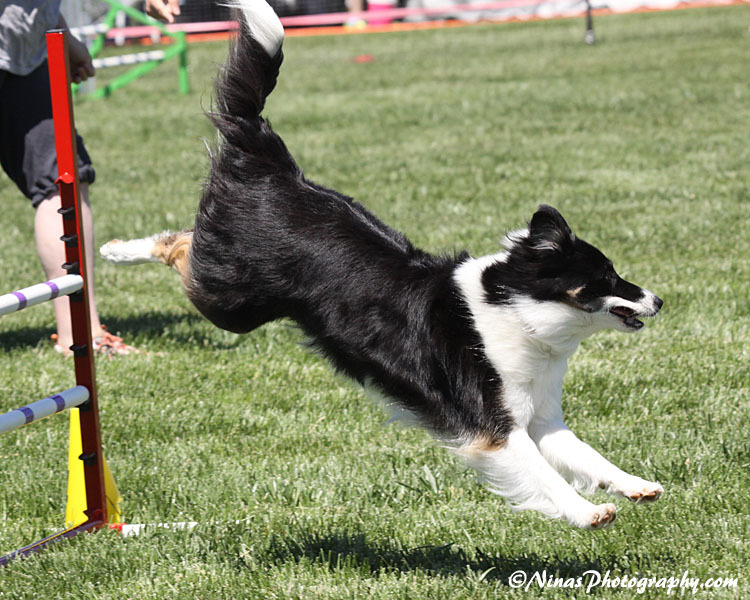 In very limited trialing in NADAC, Cedar has earned her Novice, Open and Elite Jumpers titles, Novice, Open and Elite Regular titles, Novice, Open and Elite Chances, Novice and Open Hoopers, Novice Touch N Go, Novice and Open Weavers, and Novice and Open Tunnelers titles. 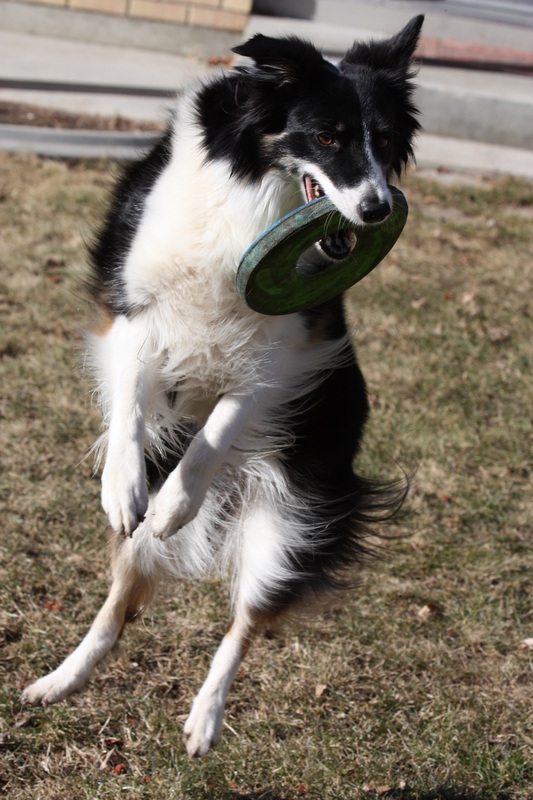 She also has legs in Open Touch N Go (1/3). 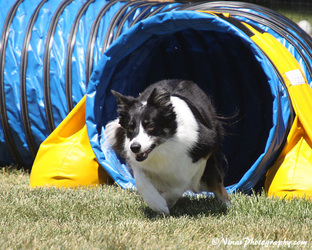 She LOVES the wide-open NADAC courses.... maybe a little bit too much! 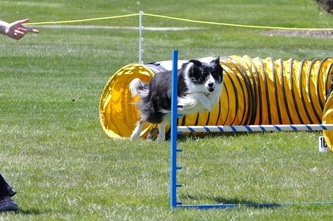 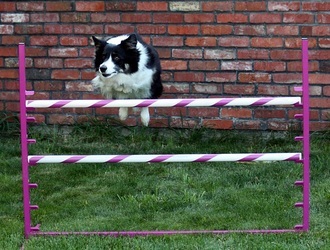 She frequently earns the fastest times out of all dogs in Jumpers, Tunnelers, and Hoopers. Cedar also has one leg in USDAA Pairs/Relay. 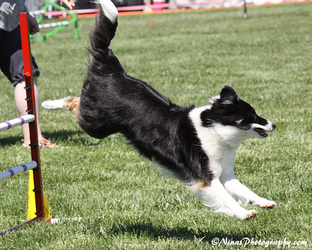 Cedar debuted in Rally at the Richland Kennel Club and Columbia Basin Dog Training Club, earning her first two legs with scores of 92/3rd place on Saturday and 100 (!!! )/1st place on Sunday in Rally Novice B. Judge Pam K. Furness noted that this was the first perfect score she had ever given as a judge. Below I have posted a video of our "perfect" run. 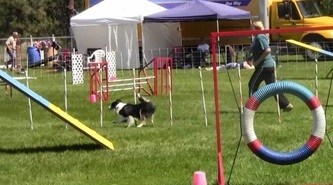 She finished her RN with three Q's in a row on 10/13/11 with a 95/2nd place. 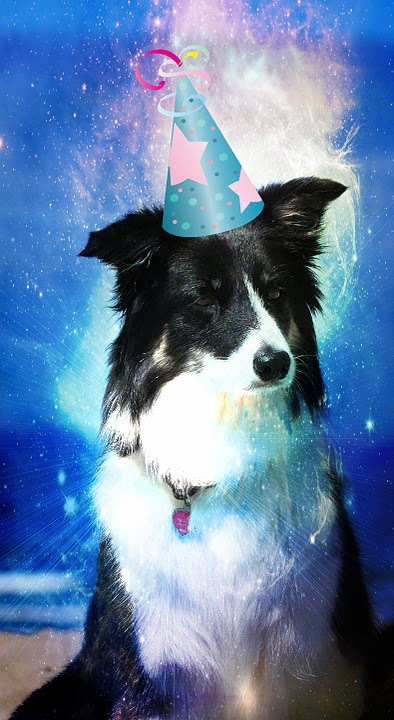 Good girly! Cedar has two legs towards her Rally Advanced title. Cedar has her Versatility Award from the Border Collie Society of America. 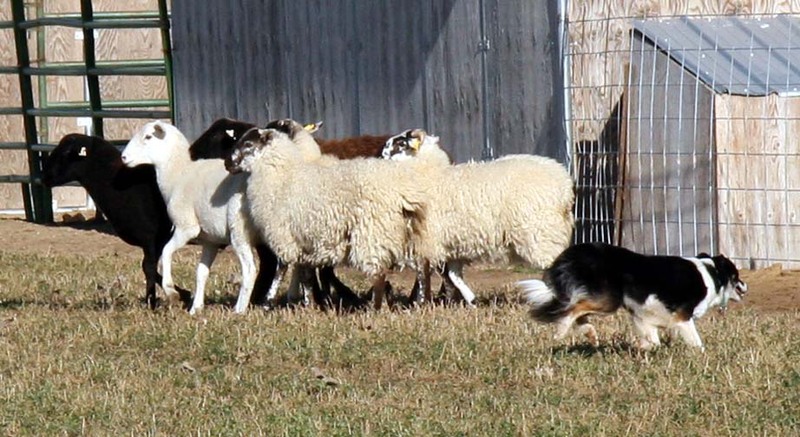 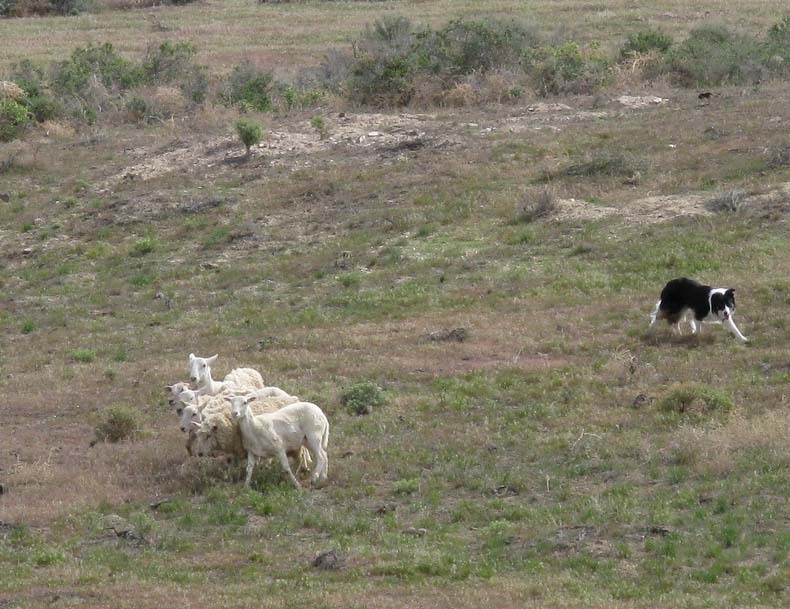 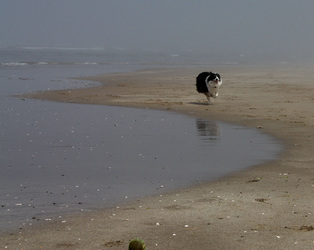 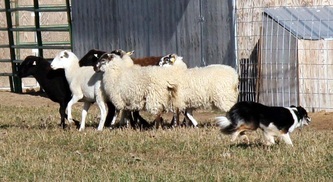 To achieve this title, dogs must earn titles in a minimum of three sports, one of which must be herding. We are so proud of her! 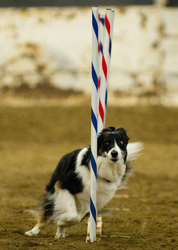 Cedar's Perfect Score in Rally!